After a decade, The Rio Times, Brazil's leading local English-language news company, will close its doors on March 31st. 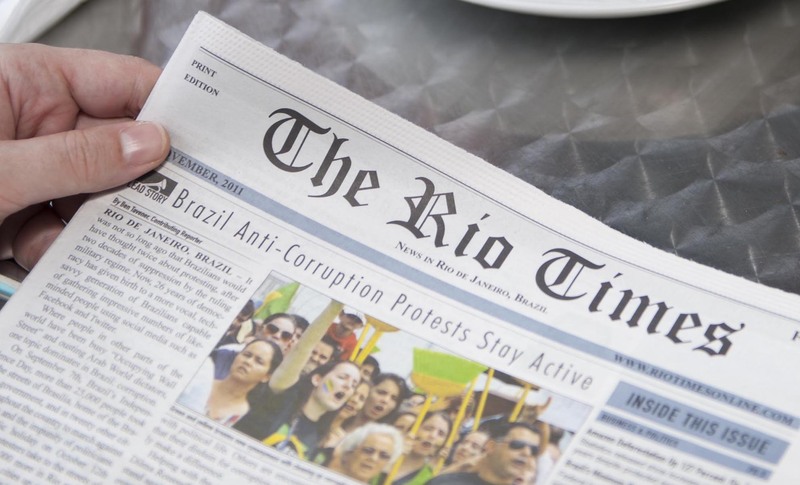 RIO DE JANEIRO, BRAZIL – After ten years, nearly 14,000 news articles, and working with over one hundred freelance reporters and writers, The Rio Times, Brazil’s leading local English-language news publisher, will shut down on Sunday, March 31st. Launched in 2009, The Rio Times will shut down on March 31st, announced Editor and Publisher Stone Korshak, photo by Elena Thomas. “We’re closing because I am living back in the U.S. now, and although it is a profitable business, and we’ve got some of the best reporters we’ve ever had, it’s not enough to keep me in Rio and I can’t dedicate enough time to it anymore,” expressed Stone Korshak, The Rio Times Editor and Publisher. From the beginning, the news company provided the expatriate community in Brazil and Rio de Janeiro a much-needed source of local news in English. At the time, Rio had not had a locally published English language newspaper in over twenty years – the last one being The Latin America Daily Post which closed in 1986. Over the years, The Rio Times became a hub for expats in Brazil and Rio, photo courtesy of Vitophotography.com. 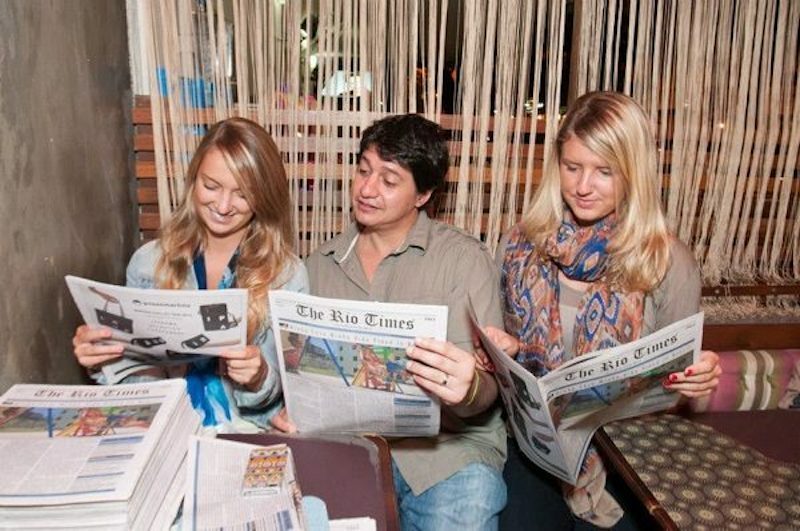 Throughout the years, The Rio Times also served as an outlet for many expat freelance writers and journalists living in Brazil – giving them a chance to report on local happenings and national stories, as well as providing an opportunity to voice their affection and, oftentimes, frustration with the country that, at least for a time, they called home. The diverse group of reporters who have passed through The Rio Times newsroom included veteran journalists, lawyers, small business owners, and graduate students – some of whom had already lived in Brazil for decades before the newspaper launched and others who had just arrived. “Getting to write on a daily basis one and even two stories when you are a freelancer in Brazil has been challenging and gratifying,” explained The Rio Times’ senior reporter Lise Alves, who began writing for the newspaper in 2014. The Rio Times will publish its last article on Sunday, March 31st. The website will remain up for six months after the paper closes during which time all the articles will be accessible. Bummer! I lived in Rio das Ostras from 2008-12 and this publication has provided me with relevant news and info about what’s going on in Brazil. Since I returned to the states it has continued to provide this for me. Thank you! Bummer indeed. I will miss your paper and getting the info you have provided so well for so many years! As a Carioca living in Palm Springs, California for the past 50 years I will miss very much news from my home town of Rio de Janeiro and its people. Best of luck and thanks for the memories. Sorry to hear, Stone, and wish you all the best of luck, know your efforts were Herculean. The Rio Times can be proud of its record! Just a small correction in the above article: The Latin America Daily Post (print, not digital, of course) closed in 1988, not 1986, also lasted about one decade. The Brazil Herald before it, survived as an independent newspaper for some three decades after being found in the late 1940s, then merged with the Daily Post and was published as its local section for another 8 years. Sic Transit Gloria. What a million times bummer! I’ve just come accross the newspaper and it has been a blessing to my classes as an English Teacher and my Web Radio station as well. What am I gonna do now? Is there anyone interested in coming along with me and rock my boat so that not only gringos but also brazilians can benefit from the radio?